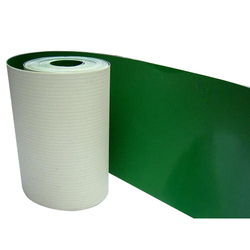 Manufacturer of a wide range of products which include pvc conveyor belts for printing industries and pvc conveyor belts. 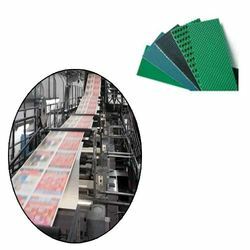 We offer PVC Conveyor Belts for Printing Industries or Poly Vinyl Chloride Conveyor Belt. Our products are well known for their durability and strength. We offer PVC Conveyor Belts or Poly Vinyl ChlorideConveyor Belt. Our products are well known for their durability and strength.We manufacture and export PU Conveyor Belts, which are used in food, paper, packaging, weigh-feed equipment, machine building industry, printing and folding industry. These belts have high mechanical efficiency and wide operating temperatures. Also, we offer these belts at market leading prices.